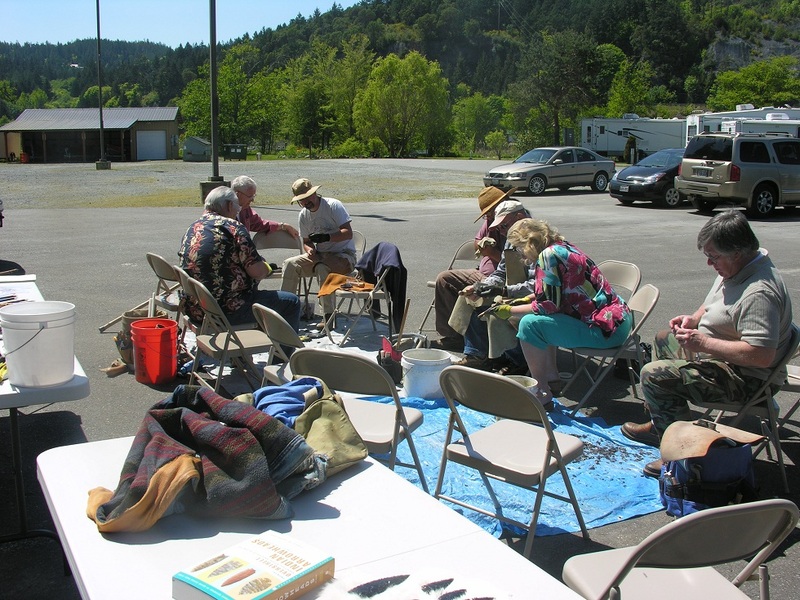 Members of the Puget Sound Knappers were invited by Samish Tribal Elders to conduct a demonstration and workshop on flintknapping on May the 12th. Located in Anacortes, WA, along Fidalgo Bay, the Samish have a long history in the Pacific Northwest (for more on the Samish people, culture and people please visit their website Samish Website). PSK members attending were Joe Higgins, Bob Bower, Jim Keffer and Dave Graves. 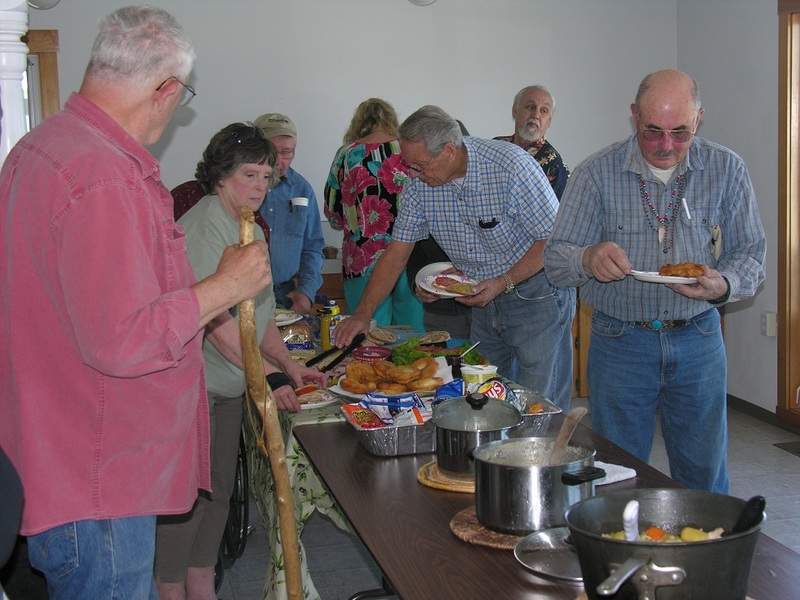 There were between 15 and 20 member of the Samish Nation including several of the Tribal Elders. 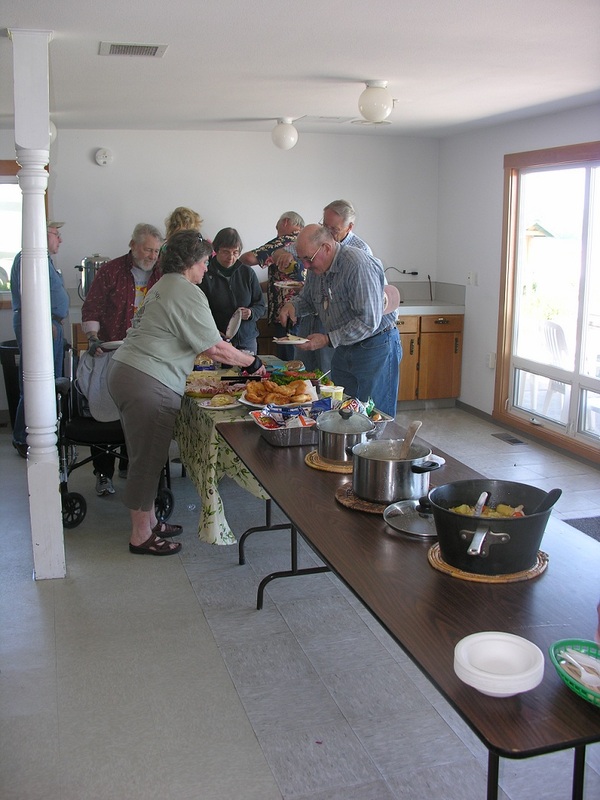 Seldom have we seen such an enthusiastic and interested group of individuals participate to the extent that they did. Nearly everyone that attended got an opportunity to knap and several respectable points were made! Everyone had a great time - especially the PSK members! We were treated with incredibly warm hospitality and an especially enjoyable lunch! Lunch is actually a gross understatement - it was a FEAST. 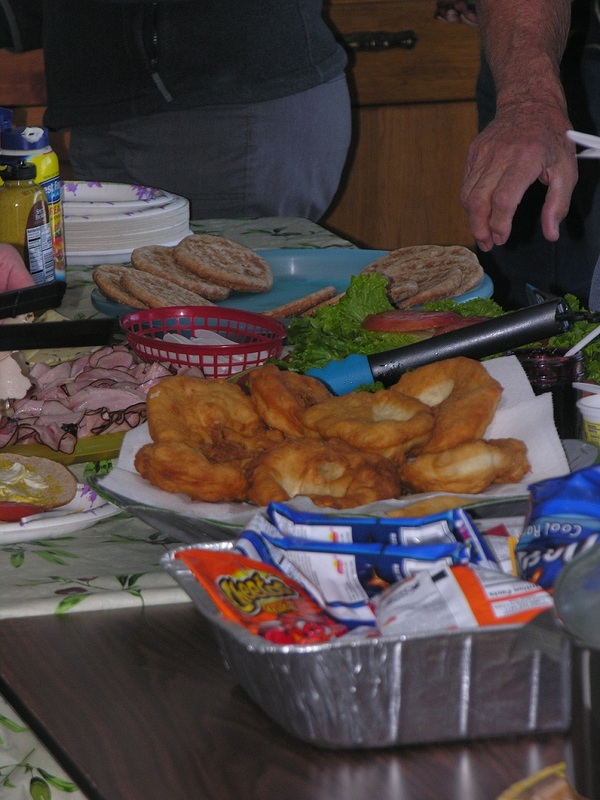 Two types of clam chowder (from clams harvested on Samish waterfront, steamed clams, absolutely to die-for fry bread (Stu - you'd have thought you were in heaven)!